JY-MCU BT_BOARD V1.06 is an inexpensive Bluetooth to UART bridge, coming in few differents variants from many Chinese distributors. This particular piece was bought from dealextreme.com. Actual structure of BT_BOARD consist of another module called HC-06 (SMD) and only slightly larger base board with voltage regulator and few passive components, wrapped with transparent heat shrink tube. According to information printed on base board module can be powered with voltage in 3.6 - 6V range. 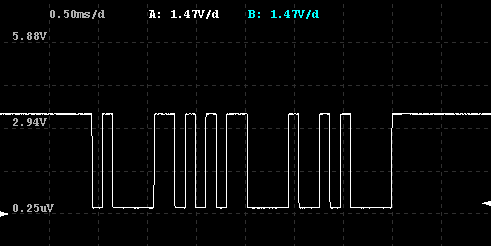 UART operates at 3.3V levels. 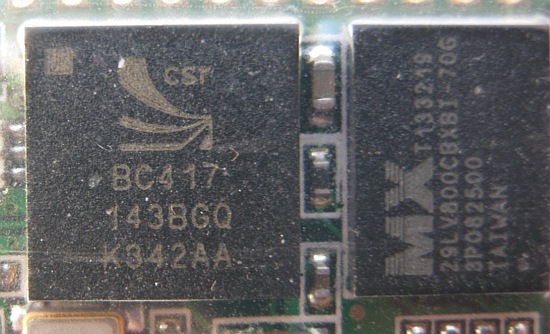 Heart of the device if a BC417143B (BlueCore4-External) SoC made by Cambridge Silicon Radio (CSR) company in 8x8mm, 0.65mm pitch BGA package, apparently on the market since 2004 or 2005. This chip is much more capable with integrated full-speed USB device, PCM and SPI interfaces and bunch of generic I/O, unfortunately SDK for it is not freely available. 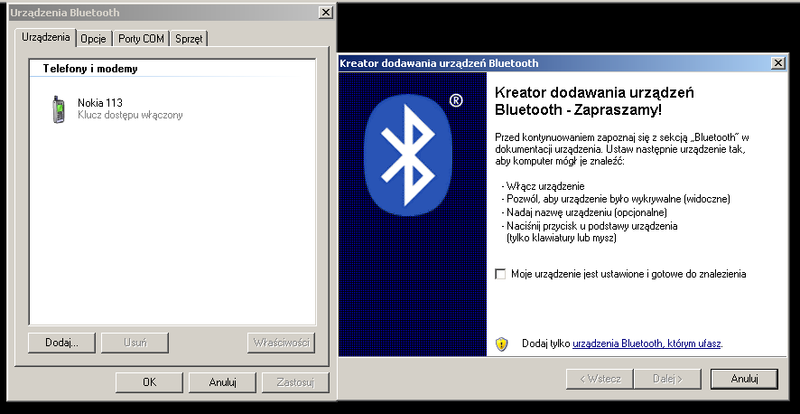 Device firmware is stored on 29LV800 - 8Mbit, 16-bit NOR Flash. Pin TXD = SoC UART output, RXD = SoC UART input. Board uses low power (1uA current consumption) XC6206 (marked: 662K) voltage regulator in SOT-23 package operating at up to 6.0V supply voltage (7.0V specified in datasheet as absolute maximum). Module seems to works out of the box. Default code for pairing is "1234". Default UART speed is 9600 and it looks like it is not affected by speed specified in terminal (pity), so it can be changed in AT-mode only. 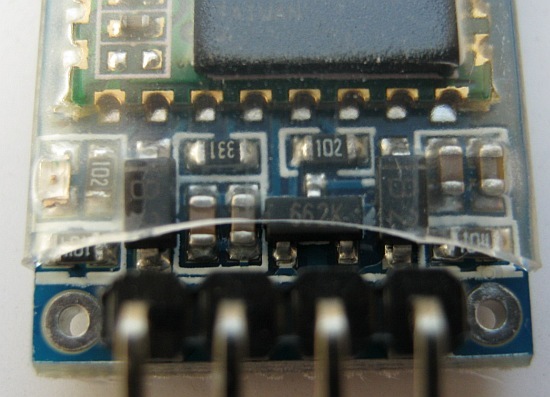 UART TX line required pull-up resistor.